With the end of the year approaching, the predictions are rolling out! Last week, we were treated to two massive slide decks from respected analysts, Mary Meeker and Henry Blodget. 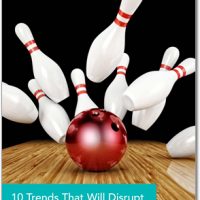 Meeker of Kleiner Perkins released the Internet Trends Year End Update report and Blodget of Business Insider released The Future of Digital. With 250 slides combined, these decks covered every angle of the digital and internet economy, but one area that stood out from both was the momentum of the smartphone revolution. 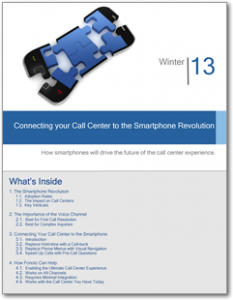 This past year we also saw powerful studies on the direction of the call center (e.g. the American Express Customer Service study which I wrote about here). When you combine that data with the data from Meeker and Blodget, the picture is clearer than ever: The smartphone is the biggest thing to happen to the call center since the dial tone. For most consumer-facing businesses, the call center is a major force in shaping the customer service experience. Consumer behavior is changing, and the call center must adapt in order to excel. 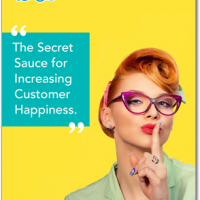 The good news is that the shift to smartphones and tablets is a tremendous opportunity for the call center to break free of some old bad habits — putting consumers on hold or inflicting them with phone menu hell. 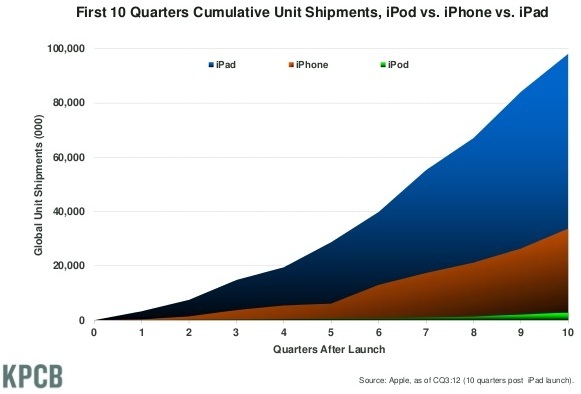 When the iPhone was released, it ramped-up much faster than iPods — but iPad adoption rates are even higher. 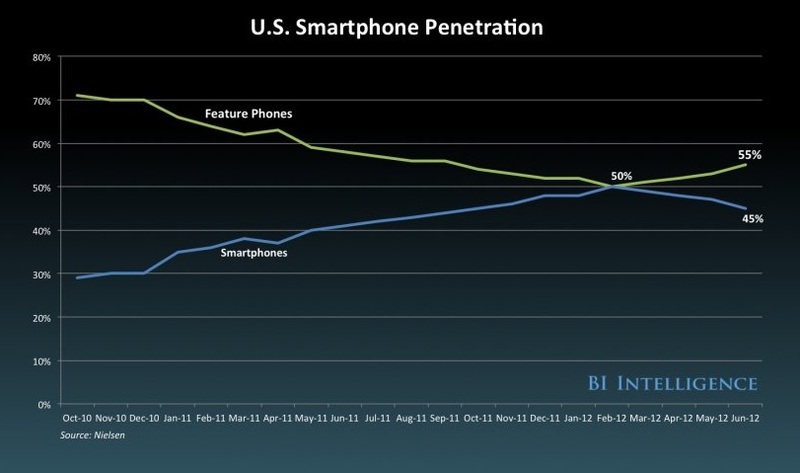 In the US, more than half of all phones are now smartphones. We passed that turning-point in the spring of this year. 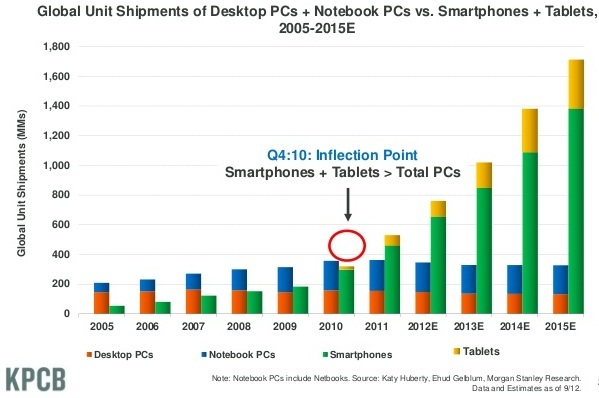 Shipments of “handheld” PCs (smartphones and tablets) surpassed those of traditional PCs (desktops and notebooks) 2 years ago. It’s clear now, that wasn’t a blip – the gap is continuing to grow. If we look across the world, far more people will be accessing the internet through a mobile device than through a traditional PC. 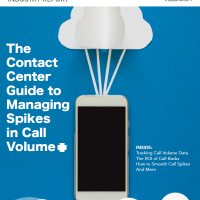 According to a report from Ovum, call centers will soon be getting the majority of their calls from a mobile device. 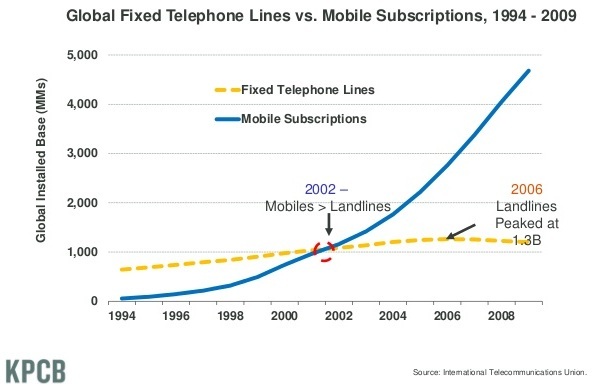 That’s easy to believe when you look at this graph comparing fixed phone lines with mobile subscriptions. 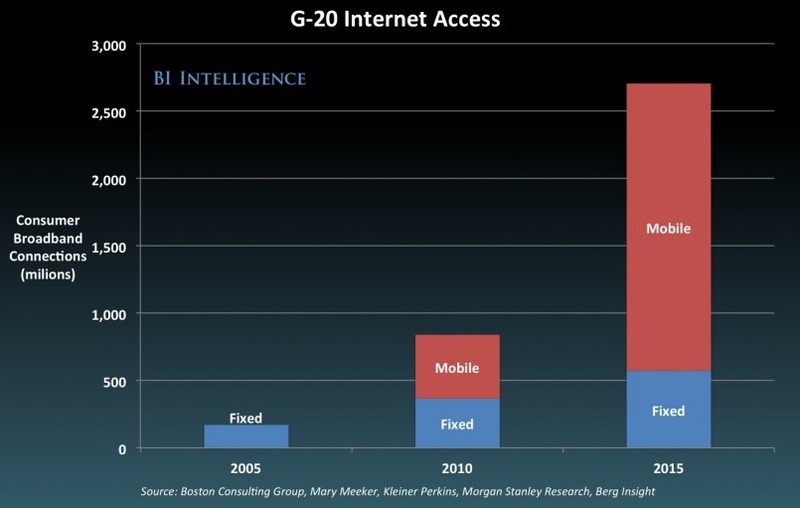 So far, this has all been about general smartphone and mobility growth. How does it relate to customer service and the call center? 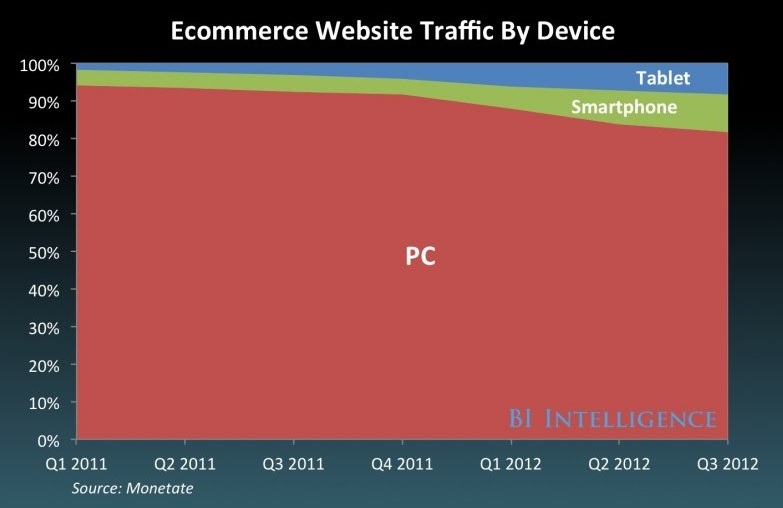 Well, look at what’s happening to e-commerce. 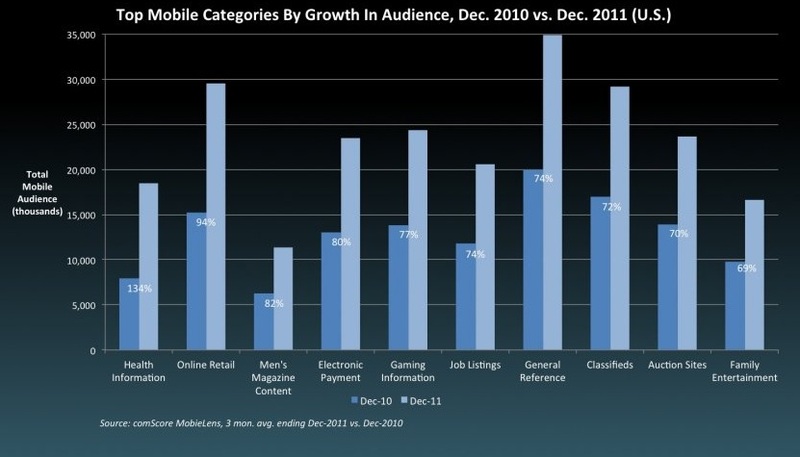 Folks are doing more and more of their shopping from their mobile devices. It’s well understood that access to a live agent can greatly increase conversion rates (and lower abandon rates). 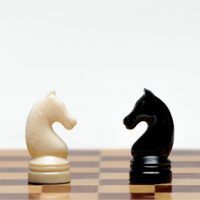 So it follows naturally – to accommodate the consumers’ primary access point, online retailers must get smart about connecting their call centers to mobile devices. 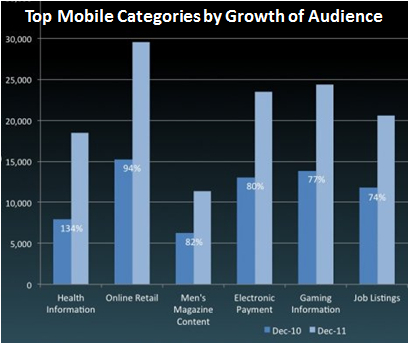 This next graph shows which categories are exploding in mobile use over the last year. The dramatic growth in the “online retail” category is obviously relevant, but if you stopped there you missed a big part of the picture. Consider “Electronic Payment”, “Classifieds” or “Auction Sites” – vendors in these categories need effective call center operations just as much! Now that we’ve looked at the stats from several different angles, the bottom line is clear: If your company has a consumer-facing call center, you must prepare for the world of mobile shoppers. If your call center is not optimized for smartphones, you will be delivering an experience that is inferior to your competitors. What does it mean to be “optimized for smartphones”? Luckily, all this is getting easier to do. 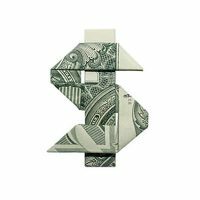 DOWNLOAD THE FREE 11 PAGE REPORT! Great charts and data, especially the forecast that more than 50% of inbound customer service calls will be coming from a mobile device by 2016. Companies need to prepare their customer service operations in light of what's coming or will find themselves at a competitive disadvantage. Scott, thanks for your comment. You're absolutely right that companies need to prepare for this major shift in consumer behavior. Hopefully organizations will experience enough customer backlash about their poor voice channel service supporting mobile self service applications to address their entire caller experience. The state of voice channel caller experience is abysmal, and mobile apps will exacerbate it. Kevin, thanks for the comment. I love the superhighway analogy! This is a very insightful - especially the forecast that more than 50% of inbound customer service calls will be coming from a mobile device by 2016. Thanks for your comment. The 50% forecast comes from Ovum, who has done some great research in this area. I just read your post... nicely written.